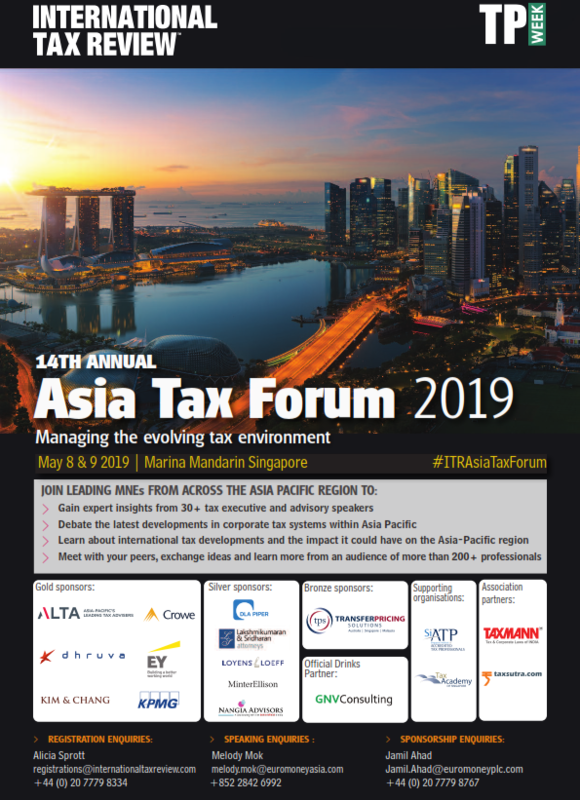 We are proud to be associated with International Tax Review – Asia Tax Forum, 2019 at Hotel Marina Mandarin , Singapore on 8th & 9TH May, 2019. With changes across the globe affecting businesses and tax environment in the Asia Pacific Region, Advancements on BEPs continue and implementation has started. This conference shall feature well known tax experts who shall throw light on the finer aspects of several complicated International tax issues & focusing on the critical aspects of the Global tax landscape. Rakesh Nangia, Managing Partner will share his insights on Disruption caused by Digitalised Economy and OECD proposals on day 1.